Donald Trump was elected president last night. The reaction to that news today has not been good. Especially for people of color and women, Day 1 was all about the increased likelihood that they will be subjected to hate speech, hate crimes, and the kind of stuff that points to really dark days ahead. 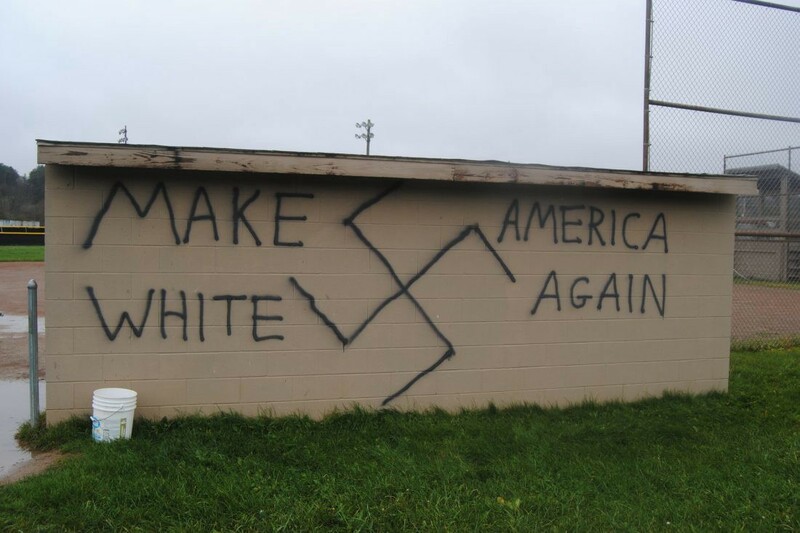 For the sake of the documenting events that appear to be the result of the hatred Trump’s campaign has fomented, here’s what Day 1 in Trump’s America looked like. The twitter feed of Shaun King from the New York Daily News is full of more examples from across social media, so you can look there to see the rest. I’ll post just a few below. If you have any others please pass them along. But outlets like Quartz and Washington Post have started to report on these incidents as well, so this post is likely done. The Southern Poverty Law Center is also asking for people to send them their way, and so I hope you flag any incidents like these to them. I recommend you checking their stories out. In the meantime, here are some lists of places/causes to donate, and things you can do.